Voice recognition is the most invisible computer interface. With the popularity of the Amazon Echo, fintechs and banks are both looking at the new possibilities to serve their customers. Today, Brett has on Rizwan Khalfan, Chief Digital Officer of TD Bank, to chat about the TD/Moven partnership and some of the exciting things they have worked on together. And then we are joined by Brian Roemmele, and expert in ApplePay, and part of the "Around the Coin" podcast team and Mary Wisniewski, writer at BankThink for American Banker about the new possiblities and strides in voice payments. Mary is a deputy editor of BankThink and fintech reporter for American Banker. Previously, she was a blogger and digital editor at Bank Innovation. She also served as a fashion editor for National Jeweler, where she reported on fashion shows and jewelry news. Her work has also appeared in Billboard, Cracked and a number of business media outlets. Mary grew up in the Michigan suburbs and now lives in LA with a maltipoo, two record players and an espresso machine. Mary is endlessly curious and follows anything that grabs her. Current interests include fintech, literature, travel, good conversation, Cat Stevens and Gidget. 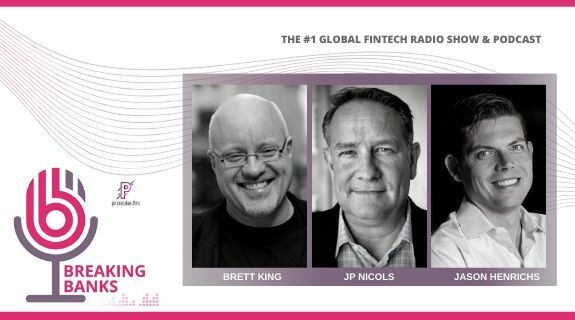 https://www.voiceamerica.com/show/2193/breaking-banks-fintech 25/04/2019 12:00 25/04/2019 01:00 Breaking Banks Fintech https://www.voiceamerica.com/show/2193/breaking-banks-fintech Voice recognition is the most invisible computer interface. With the popularity of the Amazon Echo, fintechs and banks are both looking at the new possibilities to serve their customers.